We hired the Paw Patrol bouncy castle which had the didi cars and the soft play area with it, it was delivered and set up on time. All the children had a fantastic time. Just want to say a massive thanks to the whole team for the fantastic service we received, from my initial contact to the face to face today. Definitely recommend to friends and family and will definitely be using you again!!! Used these guys a few times now,all round great service. John was so polite and friendly. It makes all the difference especially when hiring some one for the first time for a child’s birthday party. He was early too which was a bonus. I came across Coast2Coast when I’d asked friends on Facebook for Bouncy Castle hire recommendations and all who commented suggested I went with Coast2Coast and I’m glad I did. Thanks again, unicorn bouncy castle was a winner! 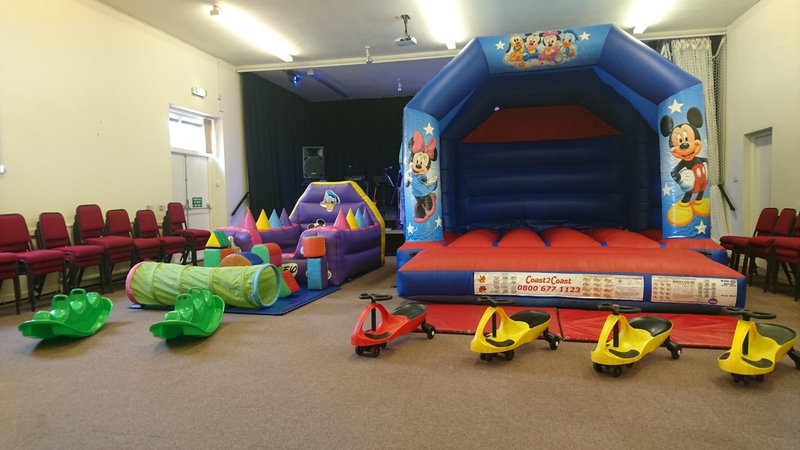 A fantastic valued party package this is our Disney gold package that includes a Mickey & Minnie bouncy castle, matching ball pool, soft play, rockers, play tunnel and didi cars all for just £85 to hire we offer free delivery to Grimsby, Louth and surrounding areas such as Immingham and stallingbrough.